Hiking may not be the first thing that springs to mind when you think of California – sun-drenched vineyards, surfing, and the Hollywood sign are at the forefront of my mind – but hiking is actually a huge pastime here. San Diego has all sort of geography to suit hikers of any level, and you can catch views of everything from the ocean to the forest. San Diego County is probably larger than you realize – you can drive for a couple of hours and still be in San Diego. It’s one of California’s largest and most populated counties, reaching as far as Mexico. Its vastness is a big reason why it’s so great for hiking – there are a lot of opportunities here. In this article, we’re going to tell you about a number of fantastic San Diego hikes, many of which draw crowds of both locals and tourists, but a handful of which are less overrun. We’ll give you an overview of each hike and recommend some of the best trails. Note that we haven’t listed length, elevation or difficulty in some places because many of these parks have multiple hiking trails with differing stats. We have mentioned these details when speaking about specific hiking trails within the parks and reserve. To compile these hiking trails, we looked at current lists from trustworthy sites that rounded up the highest quality hiking trails in San Diego. However, there are going to be some trails that are such well-kept secrets even we couldn’t uncover them. As you get more involved with the San Diego hiking community, ask about lesser-known trails that you should check out (bonus: they’ll have fewer tourists than you’re used to). Whether you live in San Diego or you’re in town just for a visit, put one (or all) of these can’t-miss hikes on your list. For a truly unique experience, head to Anza-Borrego Desert State Park, which has secret slot canyons and cool, abandoned mines. 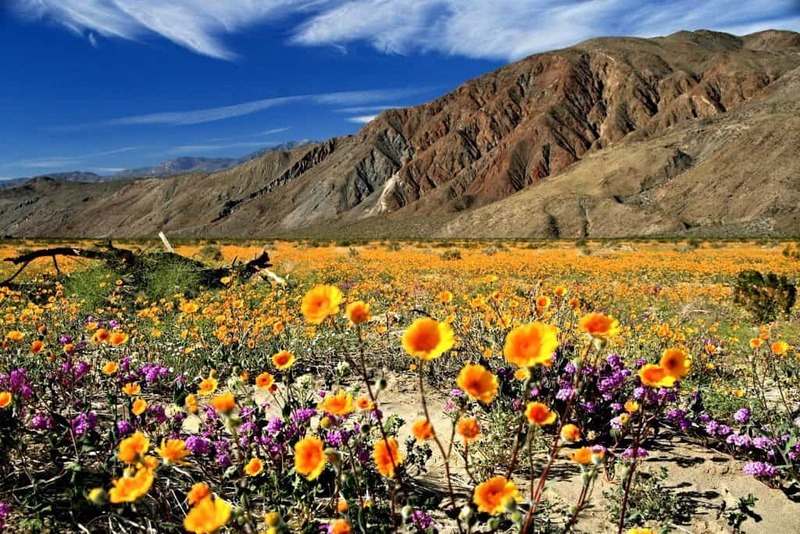 There’s fantastic hiking here, plus an abundance of blooming wildflowers. Head to the 3.25-mile Palm Canyon Trail loop, which will bring you 450 feet into the desert canyon, past a river and waterfalls (season-depending), and to a huge palm oasis. You may also want to make the 5-mile trek to the Maidenhair Falls waterfall and grotto. There’s a lot more to see here, too – you could spend a couple of days here and still miss something. If you live in San Diego, it’s worth a few trips to the park to see everything it has to offer. The park is about an hour and a half outside the city, in east San Diego County. Note that this hike can be especially hot during the summer, so either go when the weather is a bit cooler (spring or fall) or pack plenty of water. Balboa Park, with a central location near downtown, has 65 miles across 19 trails, but it’s easy to get sidetracked here, since it also has a zoo, gardens and a number of museums. If you’re able to pass up all that entertainment (temporarily, at least), start with the Balboa Park Trail #1, which is a quick mile-and-a-half and bypasses the tourist-heavy areas of the park. There’s a range of trails here, the hardest one being 6.8 miles long. You can also pick up the Seven Bridge Trail here, a 5-mile loop that crosses a suspension bridge and a wooden trestle bridge. While not a true hike, this trail is part of this list because it offers a different outdoor experience that some casual hikers will want, especially if you extend yourself for a day or two. This urban trail is near downtown and it’s a great option if you want to view the city’s architecture and history. It’s a short walk that’s doable any time of the year, and you’ll get a lot of Instagram-worthy shots out of it. The Laguna Mountains feel like Northern California thanks to the grasslands and pine forest, and they’re also one of San Diego County’s few places that see annual snowfall. When the temperature drops, you can go sledding or snowshoeing on the hills. 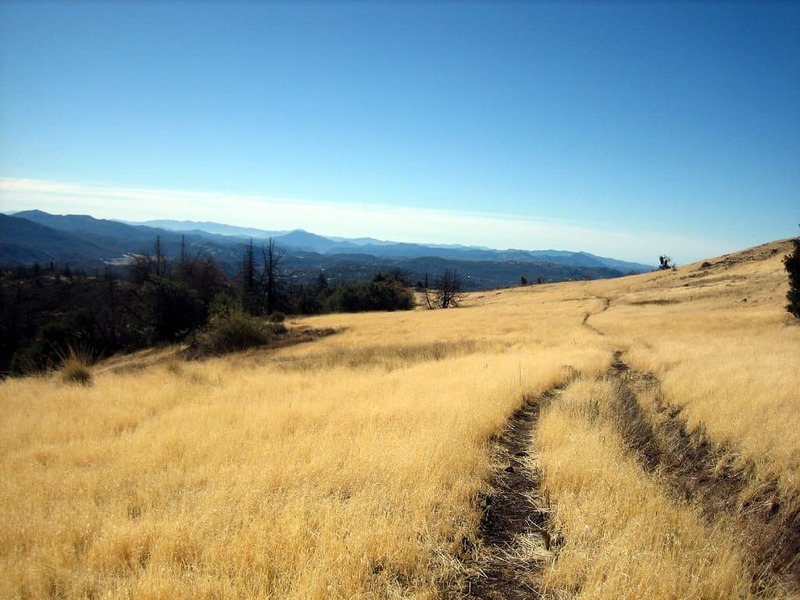 The 10-mile Big Laguna Trail in the Laguna Mountains can provide an entire day of hiking without any major challenges. The trail doesn’t get a ton of traffic, and there are pretty views of lakes and pine tree groves along the way. During the spring, you’ll see wildflowers. If you’re up for more, take the short walk to Garnet Peak to see Anza-Borrego or head to Monument Peak for great mountain views. History lovers will want to visit the Cabrillo National Monument, which is the first location where a European expedition met up with the West Coast. It was named after Juan Rodriguez Cabrillo, who discovered California. You can drive to the monument, but there are easy hikes leading to and from it. The Bayside Trail is the most notable, an easy 2.8-mile hike that’s a favorite amongst whale-watchers. You’ll also get views of downtown and Coronado Island. 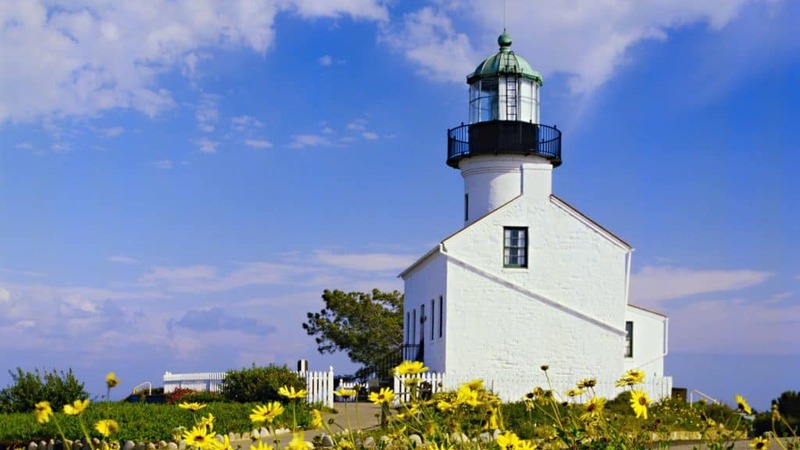 Since this spot is so popular, get there early and tackle your hike first before visiting the museum and the 1855 Old Point Loma Lighthouse (which you can climb up). The monument is located at the tip of Point Loma, which is west of downtown San Diego and south of Ocean Beach. The 5-mile, out-and-back Cedar Creek Falls hike is best for experienced hikers, especially if you’re going out during the summer, when it’s especially hot in this region. Once you’ve reached the falls, you can cool off with a well-deserved dip in the swimming hole. 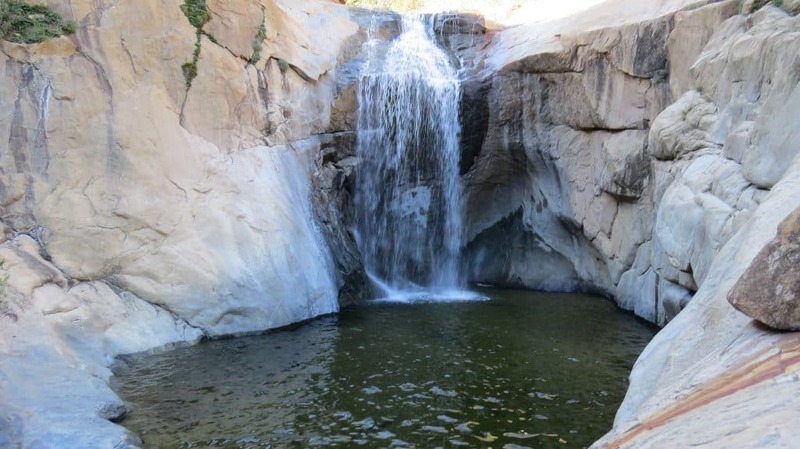 Cedar Creek Falls is located in Ramona in a rural part of San Diego County. Note that you’ll need a permit from the US Forest Service for this hike. 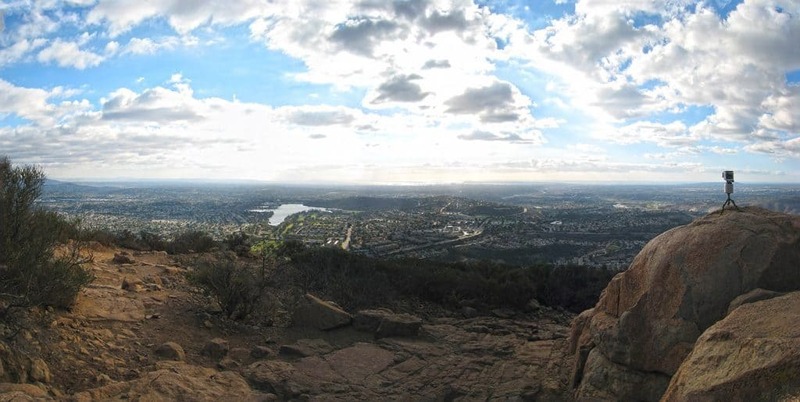 Cowles Mountain is one of San Diego’s highest peaks, which also means it’s very busy with hikers most days. That doesn’t mean it’s not worth the jaunt though, just that this isn’t the place to go if you need peace and serenity – getting there early will help you beat some of the other hikers and runners. To take advantage of the view (which reaches all the way to Mexico) without spending too much time here, head to the Golfcrest Drive Trailhead, which will take you on a short mile-and-a-half hike to the peak. Don’t let the short distance fool you – you’ll be ascending 950 feet to reach the 1,595-foot peak, so while it’s short, it’s going to be challenging. Note that Cowles Mountain is part of the Mission Trails Regional Park, which we’ll cover a little later in this list. Cuyamaca Peak is another one of the highest peaks in San Diego, and it’s surrounded by hiking trails with excellent views. 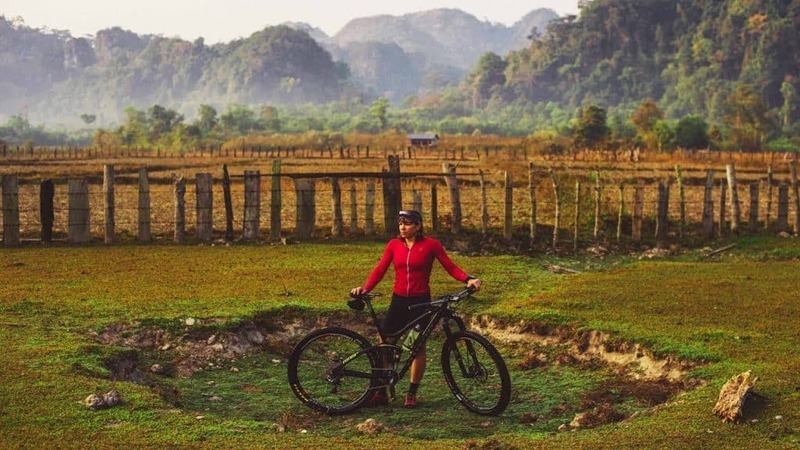 There are more than 100 miles of trails here for hikers, and you may see mountain bikers and equestrians here, too. This is a great park to visit year-round, with blooming flowers during the spring, colorful foliage during the fall, snowfall during the winter and warm weather in the summer. 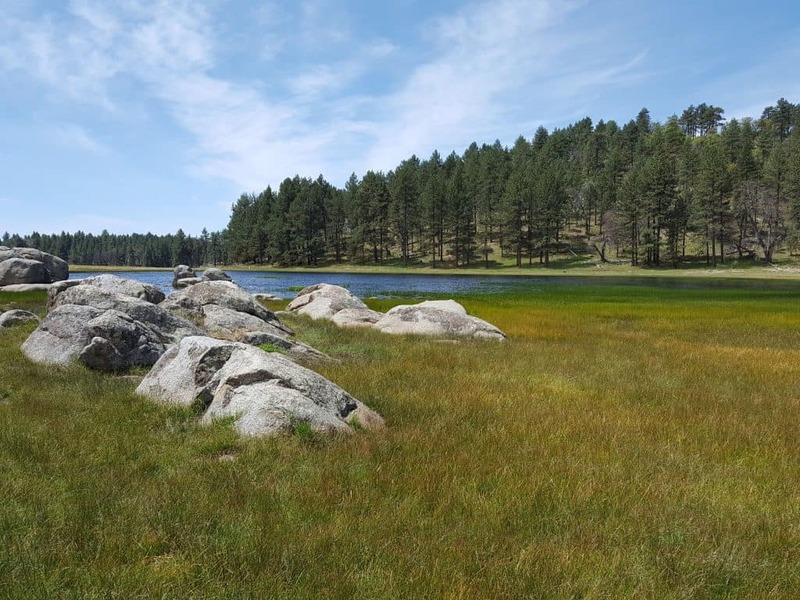 Head to the Paso Picacho Campground for the moderately challenging Cuyamaca Peak Trail (sources differ, but it seems to be somewhere between 6 and 7.7 miles), a loop trail that takes you to the peak’s 6,500-foot summit. You’ll get views of the whole valley, and on a clear day you may even be able to see the ocean. You can also take in great views from the Stonewall Peak Trail, and if you want to see what a prosperous gold mine looks like, take the Stonewall Mine Loop. The park is located east of the city. If you want to camp out, there are two big campgrounds here: Green Valley and Paso Picacho. Want to get in a no-joke leg day? The El Cajon Mountain Trail is more “Stairmaster” than “treadmill.” Coming in at a tiny bit over 11 miles, this trail can be hiked year-round (it can get very hot during the summer, though, so only go if you’re well-prepared). There are a lot of ups and downs here, but if you’re able to make it to the top, you’ll be treated to breathtaking views. This hike is going to take you the better part of the day, so make sure to get there early. There are also opportunities for rock climbing, if you’re into that. Bonus: The fact that this hike is so challenging also makes it much less populated than the other trails on this list. Warning: This is a serious hike, so you should only do it if you’re an experienced hiker. You’ll need a lot of time and water, plus a backpack of supplies. 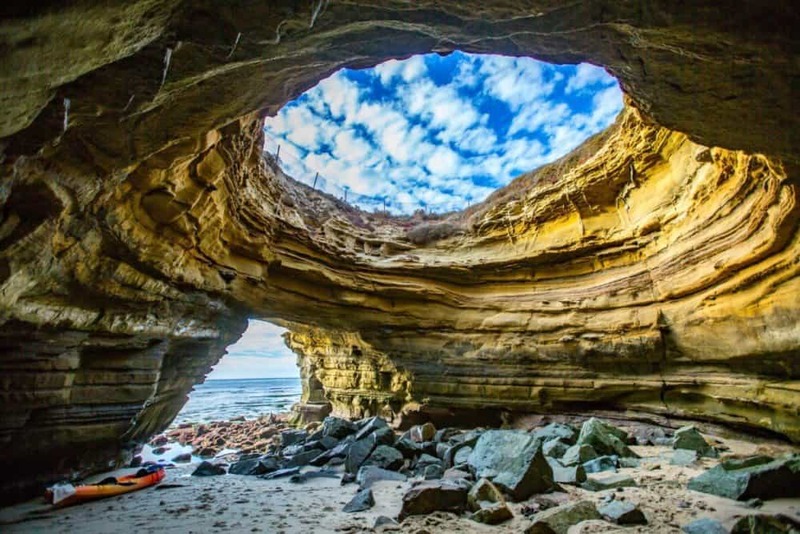 The Ho Chi Minh Trail is in picturesque La Jolla, and it’s only suitable for more experienced hikers, namely those who like adventurous hikes. The mostly-sandstone trail can get slippery, so you’ll want to avoid it if conditions are wet – the sandstone can easily break apart underneath you. Chances are you’re going to get dirty on this trail, and you should definitely wear rugged shoes. You’ll come across canyons and rock formations, and you’ll have to make it down steep declines and around tight corners. Iron Mountain will take about half the day and is suitable for even casual hikers, though more athletic hikers will still find it to be worthwhile and interesting. If you feel like scrambling, you can take advantage of the boulders and rocks along the way. From the hill’s peak you’ll see a panoramic view of San Diego County, reaching from the ocean to Mexico and to the desert. Note that this trail can feel difficult in the heat, so avoid it when the temperature skyrockets. Volcan Mountain takes up 400 acres and has great views of the desert and Julian itself. Getting to Volcan Summit, which offers 360-degree views, will require a 5-mile round-trip, and you’ll go through the James Hubbell-designed artistic gateway. Another Julian destination for hiking is William Heise County Park, which has several miles of trails that lead through the pine and oak forest, plus cabins and campsites. For a dose of history, take the Old Banner Toll Road Trail right nearby, where you’ll pass the Warlock Mine, which was one of the Gold Rush’s most prosperous. There are a number of mineshafts for exploring along this trail, so you’ll want to bring a flashlight or headlamp with you. 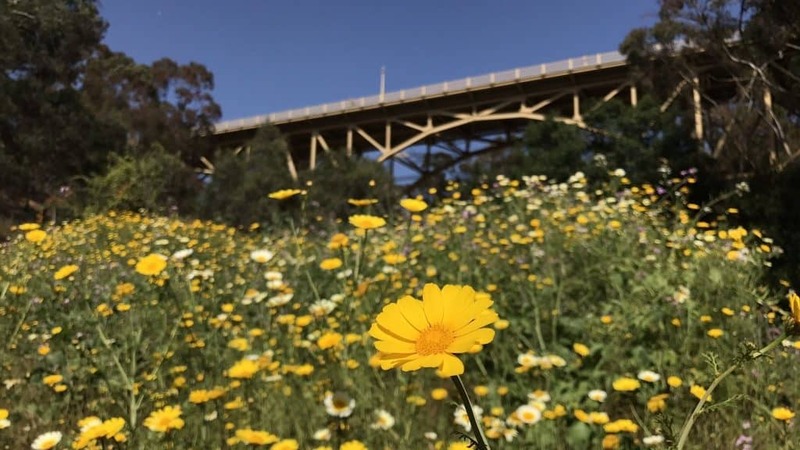 In order to get the most out of the Los Penasquitos Canyon Preserve, it’s helpful to know its history – the vast reserve dates back 7,000 years when the area’s Native Americans inhabited it. 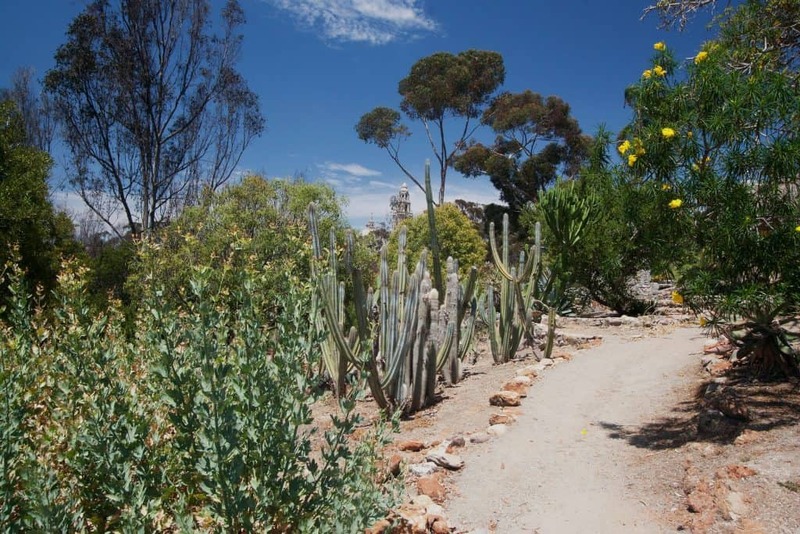 The preserve is located in the middle of San Diego County, but it feels remote and tranquil. The 6-mile trail (some sources say it’s 7 miles) is most popular amongst locals instead of tourists, which means it’s not as congested as some of the other trails on this list. There may be some hikes with better views of the ocean, but this is a perfect spot for forest bathing under the dense foliage. There are also more than 100 species of animals in the preserve. The trail is pretty much flat the entire way, and you’ll go past a graveyard that’s a century old, a cowboy ranch house and a waterfall. 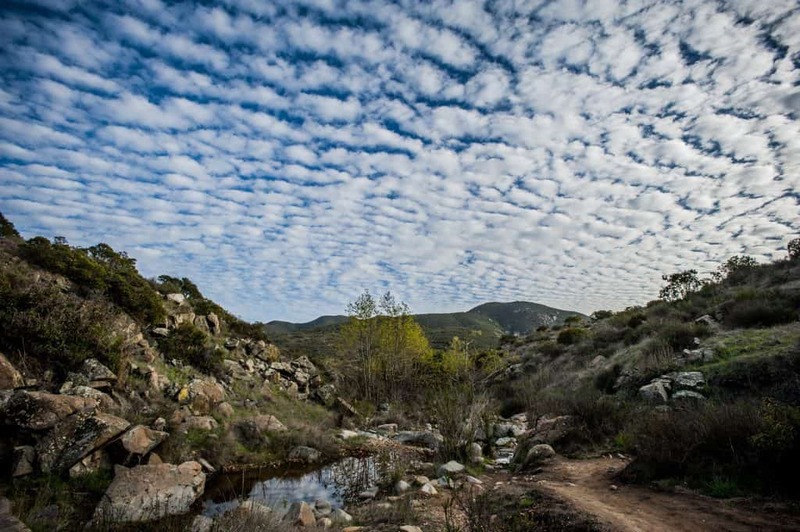 Mission Trails Regional Park, a 20-minute drive from downtown, is a whopping 7,220 acres, with steep hills and rugged canyons, both perfect topography for hiking. 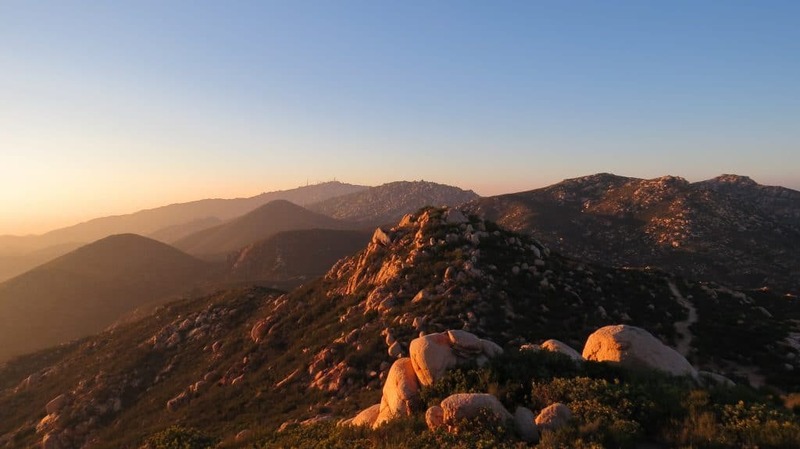 This is where you’ll find the popular Cowles Mountain summit, but there are other peaks worth visiting here, like Kwaay Paay, North Fortuna, Pyles Peak, and South Fortuna. Plus, there are a bunch of other trails that go through canyons and creeks, including the Oak Canyon Trail, which you should take in the spring to see the waterfall. For a dose of history about San Diego, start in the visitor center and then head out on the Visitor Center Loop Trail. Overall, there are 60+ miles of trails here to explore. If you want to stay overnight, you can reserve a campsite. 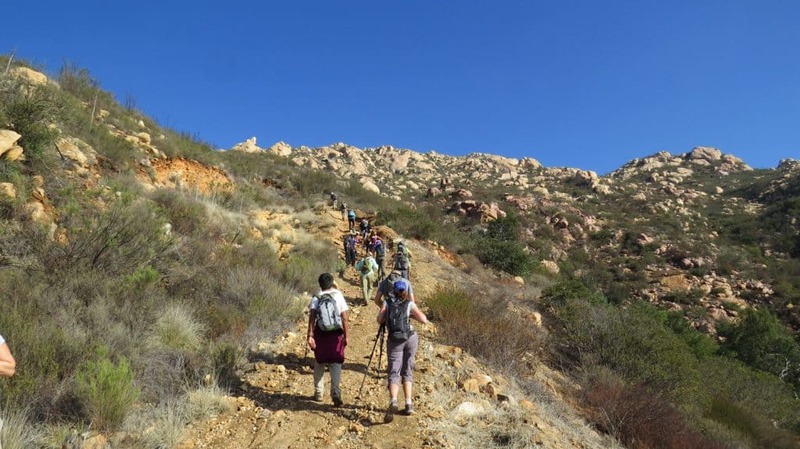 For hikers up for a challenge, give the 7-mile Mount Woodson Trail a try. Once you’ve struggled along the steep, zigzagging trail, you’ll end at Potato Chip Rock, with some of the best views in San Diego County (you’ll look out on Lake Poway and Palomar Mountain). 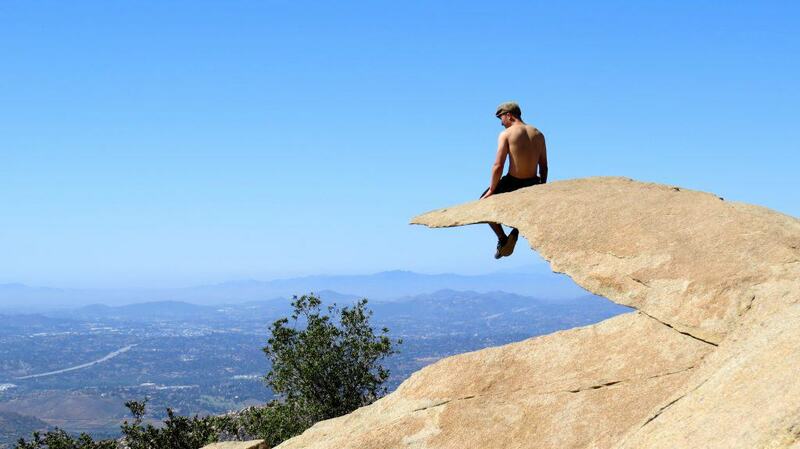 Even though Potato Chip Rock is uber-popular, don’t miss the granite boulders or panoramic views along the way. You can also make your way to the lake to cool off afterwards. The town of Poway, where the Mount Woodson Trail is located, has several other great hiking trails, too. Impressive views can be seen from the Double Peak Trail (near Silverset Park), as well as the Lake Hodges Loop (next to the Mount Woodson Trail), which looks over the Lake Hodges Dam and is an easier alternative for beginner hikers. Temperatures get high here during the summer, so it’s best to save the more challenging hikes for the spring, fall or winter. 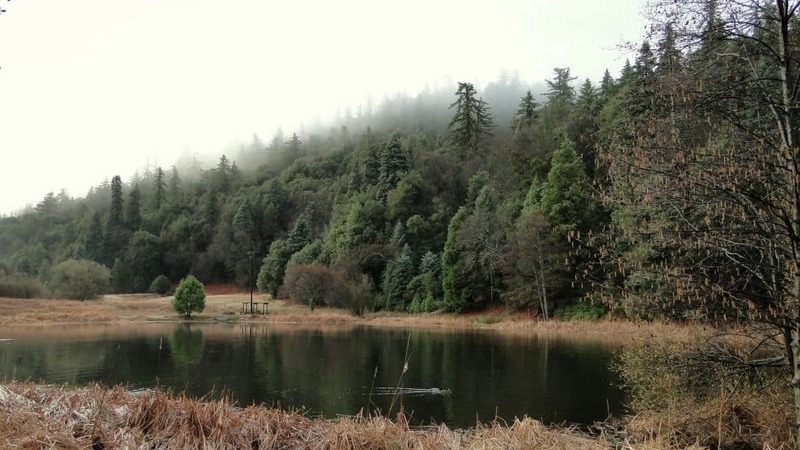 Palomar Mountain State Park, about 90 minutes from downtown, has 1,862 acres of forest, plus campsites, a huge pond and several miles of hiking trails. There’s also the Palomar Observatory and Hale Telescope, which was the largest telescope from 1949 to 1992. Markedly different from other hiking trails in San Diego is Palomar’s biodiversity, particularly the oak and conifer trees, lush green ferns, and thick fog. This is due to the elevation of Palomar Mountain, making the area look more like Northwest California instead of Southern California. If this is your first time here, start with the Lower Doane Valley and French Valley Loop Trail, which is about 4 miles with limited elevation gain that lead through a pretty meadow. If you’re up for more, connect from the Lower Doane Valley Trail to the Upper Doane Valley Trail, which will take you past Doane Pond. If you’re going to hike from the base of the mountain to the peak, make sure you’re prepared – it’s a difficult climb, requiring experience, water, and food for refueling. 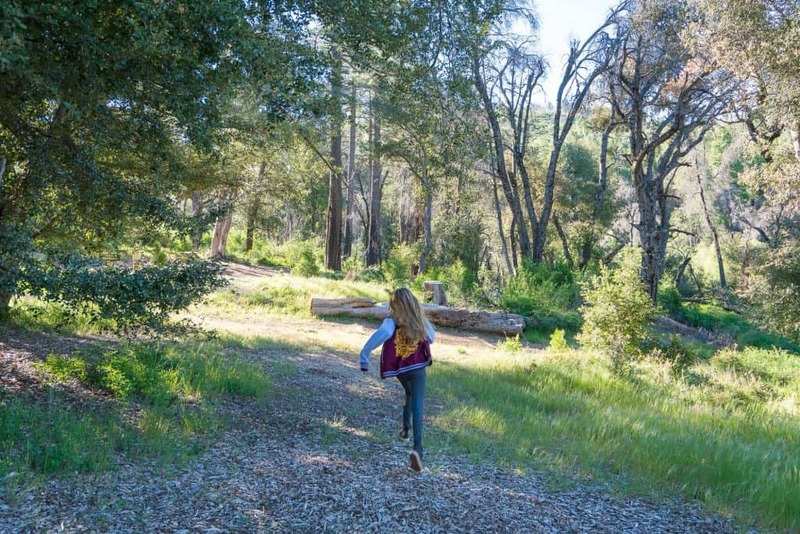 This ecological reserve sits at the foot of Rancho Murieta’s Santa Ana Mountains, and it’s a bit different from the normal desert hikes you may be used to in San Diego. Here, you’ll come across prairie, wetlands, woodlands and vernal pools. The hike you absolutely must do is the Adobe Loop Trail, which is a little under 5 miles, and which takes you to the Machado and Moreno Adobes. Along with the nearby 400-year-old-tree, these two adobes were used as shelter for mid-19th century cowboys. The 68-acre Sunset Cliffs Natural Park draws a lot of surfers, but they’ll only be part of the gorgeous scenery during your hike. Every year, gray whales migrate to Baja, and you may be lucky enough to catch a sighting. The hike (or walk, since it’s quite easy) takes you along the cliffs, but if you’re in the mood for a little more adventure, head down to the beach or pass through the wedges in between the cliffs. If you’re looking for a sunrise or sunset hike, this is the place. This challenging out-and-back trail has a refreshing payoff at the end: a waterfall and swimming hole. Even though the path is only 3.5 miles long, you’ll gain more than 1,000 feet along the way, making it deceptively difficult. 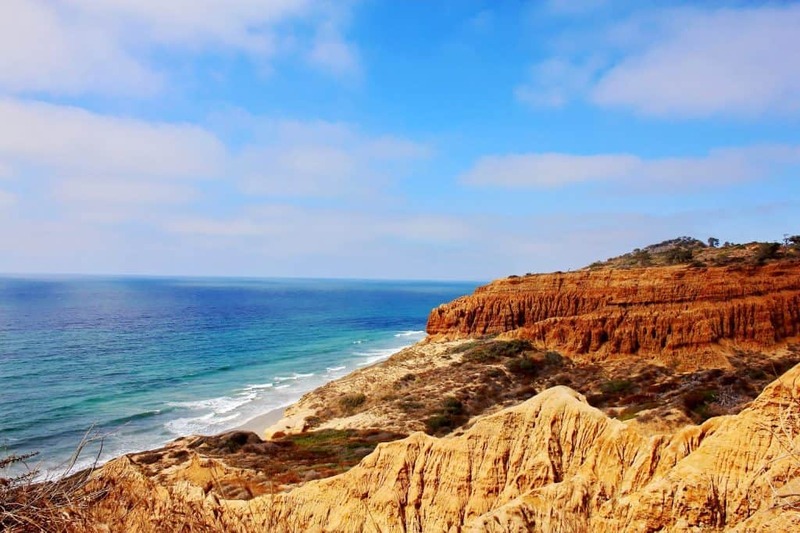 The best thing about Torrey Pines – aside from its stunning views of the Pacific and its gorgeous wildlife – is that you can head here for a quickie hike or spend several days exploring. The reserve is connected to Torrey Pines State Beach, so you can even relax by the ocean after your hike. There are around 8 miles of trails here, the most popular being Guy Fleming and Razor Point, both of which are two miles max (meaning easy hikes for the entire family) and offer ocean views. There’s also the Beach Trail, which, as you’d guess, takes you down to the beach. The reserve is located approximately 20 minutes from downtown and is open every single day of the year from sunrise to sunset. Torrey Pines is one of the most popular hiking destinations in all of San Diego, so get there early to beat the crowds. San Diego may be beloved for its cool vibe and youthful culture; taco trucks; and phenomenal surf, but locals know just how fantastic its hiking is, too. 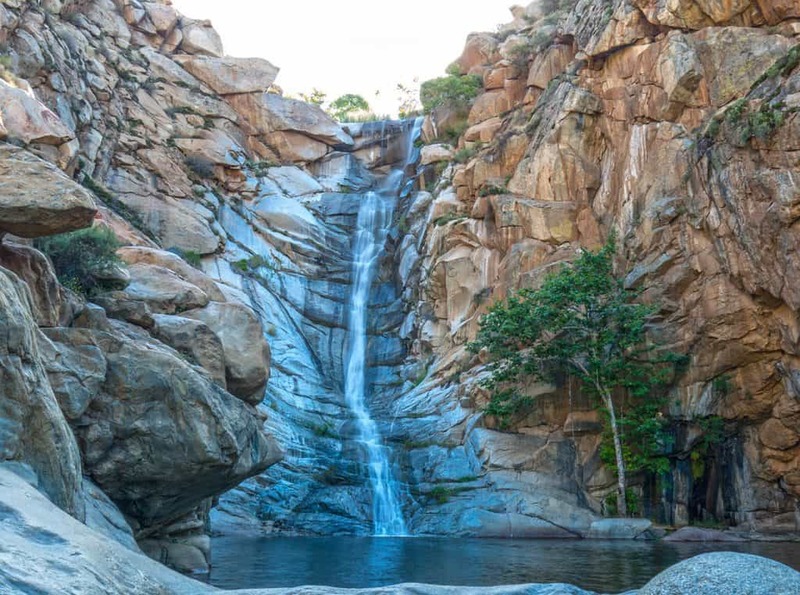 Whether you’re ready for a break from salt water and board shorts or you simply prefer to spend your days in the mountains, put “hike” on your San Diego bucket list.